One of the main objectives of Beyond Fordlândia is to intensify the debate about the impacts of activities related to agricultural production. 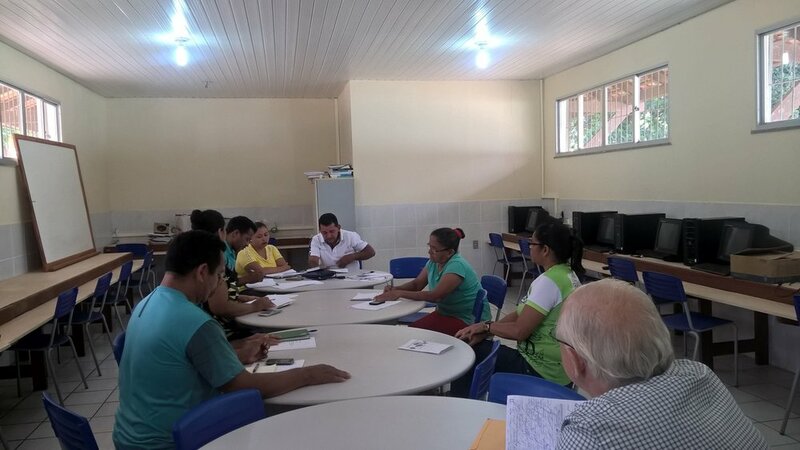 The Waldemar Maués State School in Belterra (PA) held a meeting with the leaders of the Rural Workers' Unions of Santarém, Mojui do Campos and Belterra, as well as the Women's Association of the Municipality of Belterra (AMABELA), the Brazilian Agricultural Research Corporation (EMBRAPA) and the Federation of Organs for Social and Educational Assistance (FASE). The objective of the meeting was the planning of the Agrochemicals event and its influences on human health and the Amazon biome. “We understand that in this struggle we need to join forces. That is why it is vital to bring these institutions closer to the debate and build a better future”, said Waldemar Maués professor Laura Chagas. 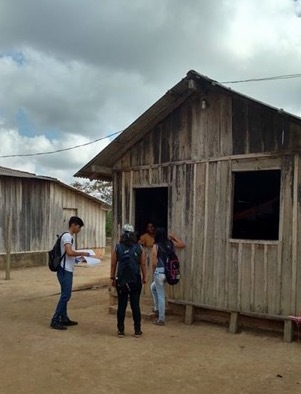 In addition to the meeting, a data collection action was carried out for research developed in the School, entitled Socioeconomic and health diagnosis of the people vulnerable to contamination by exposure to the use of pesticides in the urban area and adjacencies of the municipality of Belterra - Pará. These information are fundamental to subsidize actions of public agencies to mitigate and give effective responses to this social, economic and environmental impact from agribusiness. Questionnaires were submitted to 151 households in the communities of Portão, Trevo and Amapá, that were near the borders of BR 163 and considered to be exposed. Conflict within the Aramanaí Environmental Protection Area in Belterra provokes conciliation hearing that did not happen. On the morning of Friday (21.07.2017) a hearing was held before the City Council of Belterra, Pará - Brazil. Guests were two parties to a litigation that concerned territory inside of an Environmentally Protected Area. One party, Mrs. Elizabete (Betinha) claimed to own a lot of land within the Cajutuba community; the other party, consists of members of the local community association. There had been a football field for 42 years, according to the president of the association, Mr. Admilson, and six members of the Cajutuba community; there is also a Catholic church and a community shed for more than ten years on the property in contention. Mrs. Betinha proposed to donate another area behind the church in exchange for the area of the soccer field, which she had already sold to someone else. After collection of testimony by the City Council, with each party giving their version of the conflict, and, as there had been an assault by unknowns who knocked down the two crossings of the football field and opened a ditch in the middle of the field, the members of the association opened proceedings in the Public Prosecutor's Office. An investigation was ordered by the federal police but the community did not accept an exchange agreement that was proposed. In the opinion of the lawyer Dr. Nonato who follows the case, if the occupation involves public land, Mrs. Betinha can not declare herself the owner of the property. But, if the property title is legitimately in Mrs. Betinha’s name, the community has the right to use Usucaption (adverse possession, i.e., the right to or ownership of property on the basis of possession of it for a prescribed period of time) without objection by the owner for at least ten years. At the end of the hearing the councilors present said that they were there to mediate. As there was no agreement the case went to court. As Cajutuba is within an area of environmental protection (APA), the case goes to the Federal Public Ministry. One participant took the floor and said: “If Cajutuba is a public area of the Federal Union, then Mrs. Betinha can not have a legitimate document and the community has the right of tenure for the time of use. If Mrs. Betinha has a legitimate property document and therefore the area is no longer public, then the community becomes legitimate owner by Usucapião (adverse possession), since the community has used the area without objection for more than ten years. The community has the right not to agree.” The lawyer and the community members agreed with the decision, but Mrs. Betinha did not. This is one of the conflicts between traditional communities and real estate agents and companies interested in occupying areas conducive to the construction of bulk ports in the region of Santarém. This region is coveted by investors and exporters of extractive products from the north and center-west of Brazil. The navigable rivers for large ships make the way between the markets of Europe, Asia and North America closer. Santarém is the location of the modern port that CARGILL uses to export 2 million and eight hundred thousand tons of soy and corn a year. Beyond Fordlândia is proud to join forces with the Society X Environment: “Discussing the Future”, an educational project led by Professor Laura Chagas at Waldemar Maués State High School, located in the historic city of Belterra in the midst of the Amazon rain forest in the state of Pará, Brazil. This project aims to awaken in both the learner and the local community the concern to seek the development of the municipality, a consideration of the sustainable use of natural resources, as well as of the quality of life of the people who inhabit the region. Creation of a common ground for sustainability, forest balance and quality of life is one of the great challenges for the people living in the Amazon region; however, the current scenario is headed towards anthropogenic depredation that only benefits large corporate enterprises and leaves progressively more Amazonians with little prospect of enjoying this much dreamt of development. Increased deforestation of the Amazon rainforest, especially for soybean plantations, poses a major threat not only to populations exposed to the direct effects of agrochemicals but also to negative impacts on water resources, soil, fauna and flora, which can result in catastrophic effects not only for the Amazon biome, but for the entire planet. Dr. Erik Jennings’ lecture at the Waldemar Maués School on June 21. Waldemar Maués School students participating in a public hearing on the size reduction of an environmentally protected area - APA Aramanaí on June 5th. Professors and students of the Waldemar Maués School in a public hearing on size reduction of an environmentally protected area - APA Aramanaí on June 5th. Public participation in a hearing on the size reduction of an environmentally protected area - APA Aramanaí on June 5. The proposal of a research project (July/August 2017) called , “Socioeconomic and health diagnoses of the people vulnerable to contamination by exposure to the use of pesticides in the municipality Belterra, Pará”; led by Dr. Marcos Evandro Chagas. Organizing a public hearing to be held in August 2017 dealing with the effects of agrochemicals on the residents of the Belterra municipality urban area. The Waldemar Maués School will develop these activities with the collaboration of partners due to the lack of specific supporting resources. 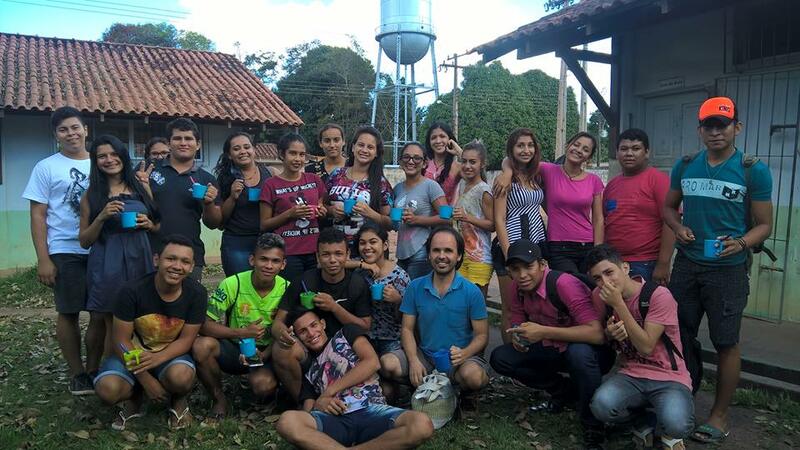 The Waldemar Maués School expects to develop these activities with the collaboration of local partners, nonprofit organization and members of the civil society who see the nature is a foundation and due to the lack of specific supporting resources. By developing these activities incollaboration with local partners, nonprofit organization and members of the civil society the Waldemar MauésSchool model expects to build a bridge inthe fight against deforestation in theregion and at the same time setting a pattern not only for Belterra but for other communities in the region who are facing the same peril of destruction due to the soybean industry in the region. The Society X Environment: “Discussing the Future” project needs all the help they can get to support their efforts in the education of this new generation. The project carries in its core the principle that human and non-human entities should live in harmony in its ecosystem. The Amazon rain forest its biome and ecologies depend on the environment and biological education of its value. Education and appropriate action will determine the future of the forest, and the survival not only of its people now, but for generations to come. The lack of environment supporting, protection and intervention of municipality authorities does not give the project many options for action. Both teachers and students experience daily challenges in order to give and receive the necessary knowledge of the devastating environment impact in the region: challenges which include provision of the basic needs of food and transportation to the schools to the more complex need of access to technology. The teachers have the responsibilities to sponsor from their own expenses the food and transportation when the students have to stay the entire day at school. 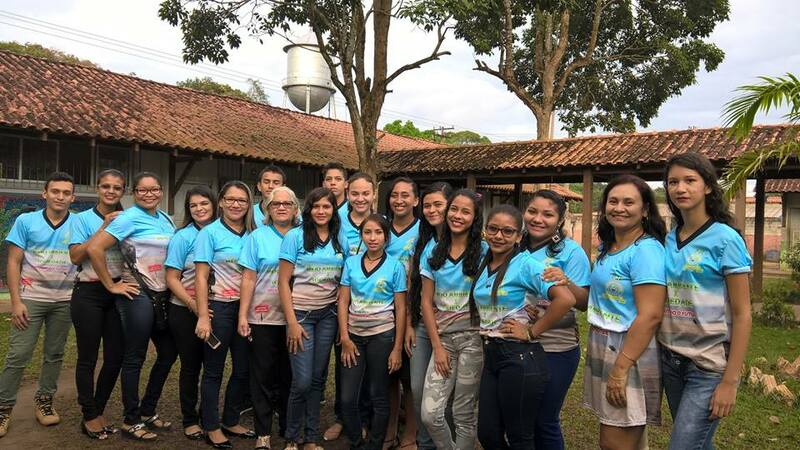 The makers of Beyond Fordlândia are delighted to contribute to their awareness of the environment and the implication taking place in their surrounding and to support the educational growing of The Society X Environment: “Discussing the Future” of the project are promoting. We also invited you to take action before it is too late.